Sanna has been working in the recruitment and executive search industry for more than 25 years. She also has extensive experience in assessments, management audits and training organisations and in recruitment related processes. Sanna manages assignments at senior and middle management levels as well as specialist searches. 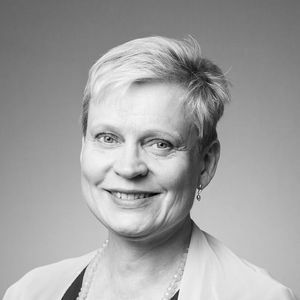 As one of the founding partners, Sanna is a Managing Partner and served previously as Chairman of the Board at IRC Finland (Search & Selection - S&S Consulting Oy Ab) one of the leading recruitment companies in Finland. Prior to S&S Consulting, she worked as a Consultant in another recruitment company in Finland for 5 years. Sanna holds a Master in Psychology from the University of Turku. IRC Finland (S&S Consulting) is the founding member of IRC Global Executive Search Partners.